Quality Service Protecting Your Investment. Your carpet and upholstery represents a significant investment in your home's function and decor. Like other investments, they require professional maintenance to provide lasting life and beauty. 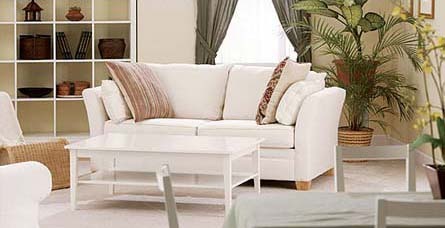 Well maintained carpets and upholstery ensure a healthy home by reducing the amount of dust and allergens. Upfront Pricing and Honest Recommendations. I welcome the opportunity of being invited into your home or business. I will make an assessment of which services will be most beneficial and that offer the greatest value. You will be aware of all charges before work begins. Every job is performed by Owner/Operator. I perform in a non-rushed manner paying attention to detail. My mission is to provide the best possible through cleaning to your complete satifisfaction. I believe the only way of building our business with satisfied and repeat clients. We are a family owned and operated company and all work is performed by myself or directly supervised. Superior Service and Results at No Additional Cost. Despite the superior results of our Green Cleaning System the cost is the same as traditional steam cleaning. Combine this with our money saving offers on deodorizing and stain protection. 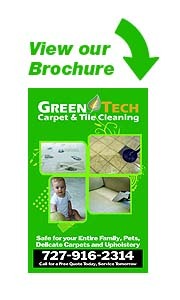 You will have clean fresh carpet in your home or business at the fraction of the cost of new  Guaranteed! A commercial pile lifter vacuum system will remove all dry soil and will restore the nape and pile of your carpet when necessary. I will then apply a green detergent-free solution which will suspend the soil. The pre-spay will then be agitated into the carpet preparing the carpet for heated extraction. We will then remove the suspended soils with heated extraction leaving clean, fresh, odor free carpet in your home.